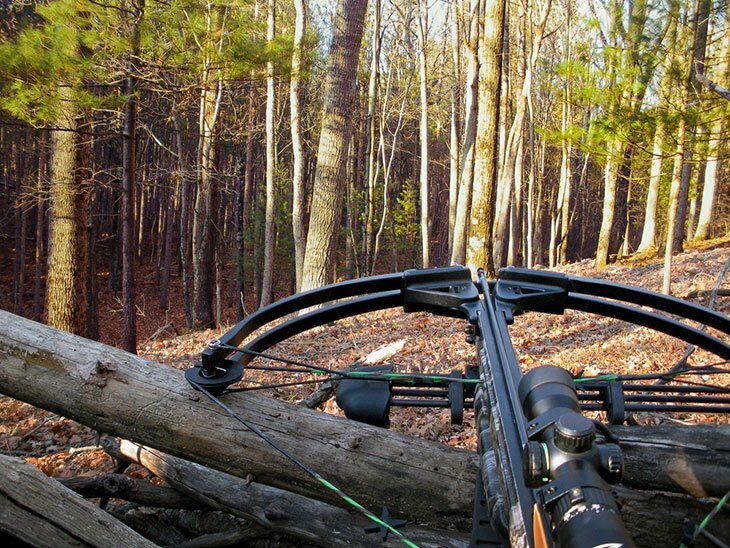 Crossbows are popularly used by hunters and enthusiasts around the world. With a classic touch and a wide range of cutting-edge features, modern crossbows are very handy in shooting at a target even over significant distances. Although these crossbows are very effective during daytime, they can be virtually useless during very low light conditions, such as at night. It is for this reason that many crossbow users tend to couple their weapon with a night vision scope. A night vision scope essentially amplifies the available light in low light conditions, enabling the user to see with a lot more clarity. This enables a user to see target objects and shoot them with far more accuracy during nighttime. Night vision scopes for crossbows are somewhat different from night vision scopes meant for firearms such as rifles. This is because the trajectory of a firearm is fairly straight and a regular night vision scope works fine with it. In the case of a crossbow, however, the trajectory of the arrow is rainbow-shaped. For this reason, many crossbow-specific night vision scopes come with a number of additional adjustments and options to account for this shape of trajectory. If you just are looking for a night vision scope for your crossbow and want to know how to use it and set it up, here are some handy steps to start. There are virtually endless night vision scopes for crossbows out there. So it can be somewhat daunting to try and find one that suits your crossbow well. The key thing to remember in this regard is the weight of the scope. A crossbow is a relatively lightweight weapon and if you pair it with a heavy scope, it is going to disturb the balance of the bow. Zeroing in on a crossbow is a daunting task. 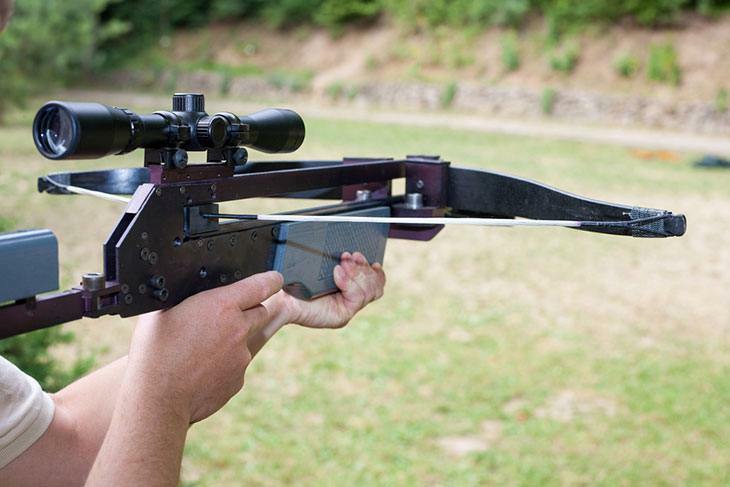 This is because unlike the trajectory of a firearm, the trajectory of a crossbow is curved. To zero in a crossbow night vision scope, you have to enter details such as bolt weight into the settings of the scope. Then you have to shot one or more bolts to zero in the scope. The advantage of a scope with programmable memory is that with such a scope, you have to zero in the crossbow only once. Then, the exact settings are saved in the scope and even if you use it with other weapons, the settings remain saved. You can later remount the scope on to your crossbow and launch the settings to immediately zero in the scope. This saves you a lot of time and hassle. Once you have found the right night vision scope, it is time to use it with your crossbow. An important thing to remember when using crossbow night vision scopes is that you will be using them for rather short-range shooting. So it is highly advisable that you keep the magnification to a minimum. If you tune up the magnification, you may find yourself watching magnified trees and terrain around you, and you will find it quite hard to spot the target, let alone shoot it successfully. Most night vision scopes for crossbows come with an IR illuminator. The illuminator plays a very vital role because it adds up some light into the view you are looking at through the scope. The scope is then able to amplify this light and make the view a lot clearer for you. The illuminator may also help shed some light on the game animals within range, making it easier for you to spot and hunt them during night. A crossbow needs to have a rail on which to mount a night vision scope. 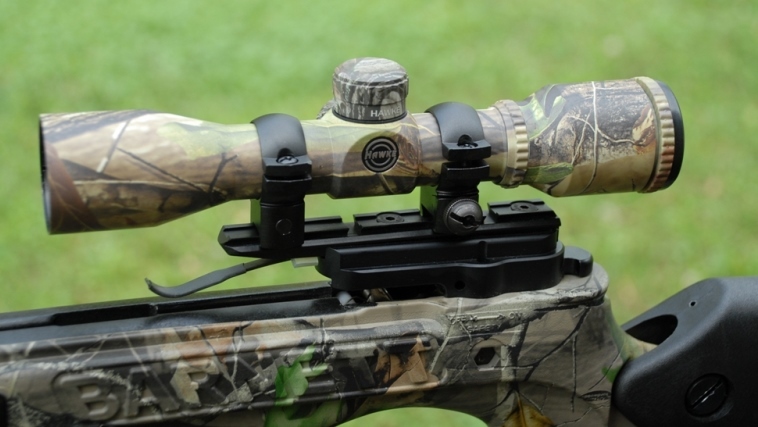 Most night vision scopes for crossbows come with the related rails. Again, a basic rule of thumb for finding a suitable rail is to look for one which is light-weight and easily adjusts to the overall design of your crossbow. This will make it easier for you to use the night vision scope with your crossbow. The mounting mechanism, itself, may differ from one scope to another. A good scope is one that comes with a quick mount and dismount feature. Some of the really good crossbow scopes come with a detach lever, allowing you to quickly remove a night vision scope, effectively returning your crossbow to daytime hunting. Apart from the ability to illuminate an otherwise dark view, an important thing to look in a night vision scope is the quality of the display. Naturally, the higher the quality of the display is, the more clearly you will be able to see a target through a scope. So go with as high-quality display as possible while staying within your budget limits.